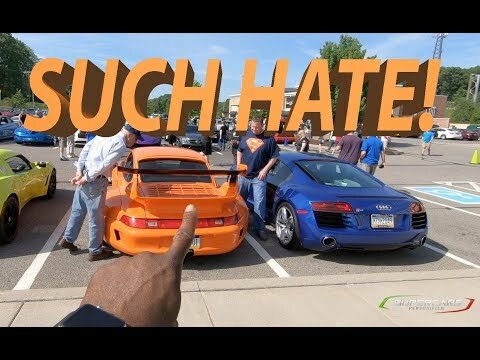 We can understand why one would put a Chevy LS engine in a Porsche. The power plants are fairly affordable with a 430 horsepower LS3 crate engine costing about $8,500 new and a used engine can be had for much, much less. We’ve seen some LS V8s going for under $5,000. When you consider a car like a 986 Boxster only weighs about 2,750 lbs. and the 996 generation 911 Carrera is just about 2,950 lbs. and over 400 horsepower is easily attainable with the Corvette engine, the builds are simply rockets. The engine is also known to be very reliable and parts are fairly inexpensive and readily available. So, the engine is relatively affordable and has a ton of power, but does it actually make financial sense? A lot of this depends on how much work you can do yourself and how much you need to pay labor fees for. We’ve heard of V8 engine swaps costing over $25,000, not including the price of the Porsche shell. With all of that money you could potentially swap for a more powerful flat-six engine or in some cases just buy a faster Porsche model. So, it doesn’t always make sense to do the swap strictly from a dollar and cents stand point. The reason to do the swap is if you want a car that is very fast, you want that V8 rumble and want the flowing styling of a Porsche. The sound is good and performance better, but changing the flat-six or Porsche in-line four cylinder out of a Boxster, 911 or 944 certainly changes the character of the vehicle. One could argue that while technically a better performing machine, it just won’t have the same soul as the original car. A V8 in one of these sports cars is fun, but do you truly have a Porsche anymore or some new Franken car? Check out the below videos all of which feature a Porsche with a Corvette V8 powering the car. After you see these machines, we want to hear from you. So, what do you think of a Corvette Engine in a Porsche?